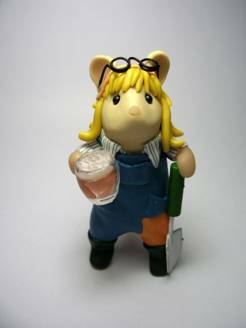 I am very happy to introduce you to a Quernus version of Margot and Barbara, made for me to celebrate the launch of this blog by the very talented Kirsten of Quernus Crafts. 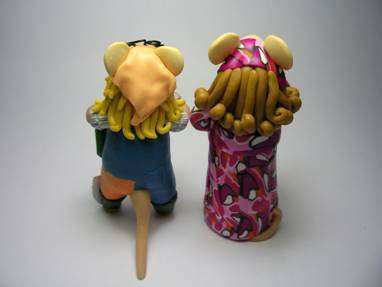 As usual, the attention to detail given to these two by Kirsten is astonishing. Margot and Barbara, my alter egos for this site, are from The Good Life tv sitcom of the 1970’s. 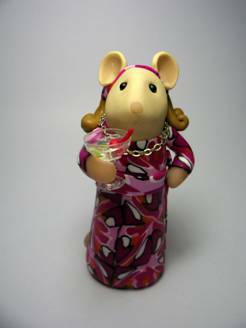 I know that those of you who love the show will recognise them, even in mouse form! The Good Life is one of my favourite shows of all time, one that I return to time and time again, especially in times of stress. When life gets a bit overwhelming, there is nothing better than a genuinely warm and funny tv show, especially when you already know all the dialogue. Thank you Kirsten, once again you have exceeded my expectations, I love them. 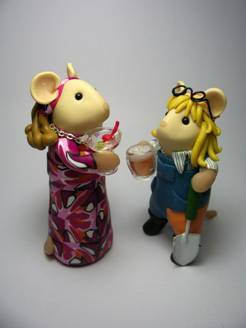 Liz, it was such a pleasure bringing these two to life – I grew up with the real Margo and Barbara, and so to be able to render them in mouse form, was so much fun!